Avila Golf & Country Club is considered one of America’s most exclusive and beautiful Country Clubs. 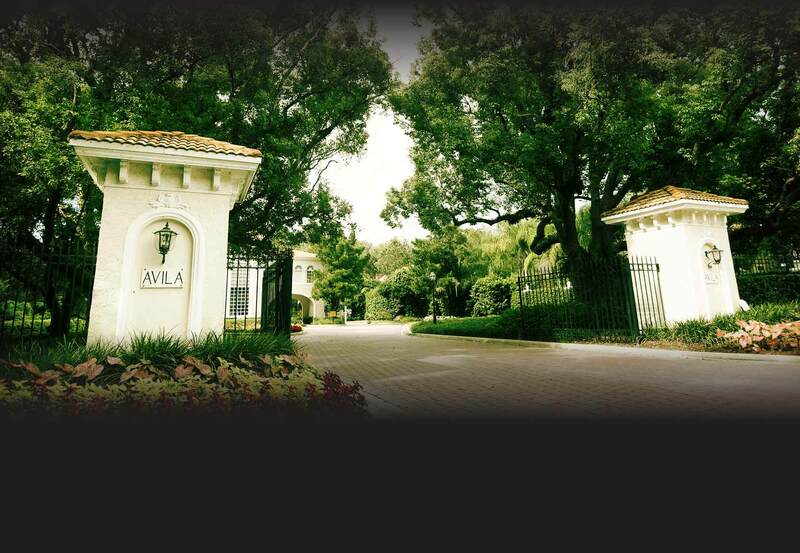 A classic and traditional club, Avila was built in 1980 offering golfers and sports enthusiasts the luxuries and anonymity of Country Club entertaining. A family friendly Club, Avila offers junior golf programs, annual social activities and pool and tennis recreation. Amenities include 18-holes of golf, six lighted Har-Tru tennis courts, fully equipped pro shops, junior Olympic-size swimming pool and newly renovated, Mediterranean-style Clubhouse. The signature golf course was redesigned in 1988 by developer Bob Sierra of Avila and partner Jack Nicklaus. This partnership created other highly acclaimed communities such as Wynstone, English Turn, Country Club of the South, Bear Creek, and Country Club of Louisiana. Established in 1980, Avila continues to be one of the region’s preeminent private golf and country clubs. In 1988, Bob Sierra, developer of Avila, chose Jack Nicklaus, his partner in Nicklaus/Sierra Development Corporation, to redesign the golf course in Avila. Together, the same partnership that created other exceptional communities like Wynstone, English Turn, Country Club of the South, Bear Creek, and Country Club of Louisiana, produced one of the most highly-acclaimed golf courses in the region.